"I have too much storage space," said no one ever. People are always looking for ways to squeeze out some extra room for easier in-home organization. Members of our Springs on-site management teams offer their favorite tips for finding hidden storage space to keep your belongings organized. Give doors something to do besides just standing there looking pretty. Take advantage of the vertical real estate provided by room and cabinet doors with over-the-door organizers that hold everything from laundry supplies to shoes and accessories to pot and pan lids. Corners are awkward spaces that almost always go to waste. Fortunately, there are a number of different corner shelving units available for a relatively inexpensive price. If you enjoy home improvement projects, try your hand at a DIY version. Don't overlook those in-between spaces. This clever slide-out storage tower is only five inches wide, so it fits perfectly between a washer and dryer or in other tight spots. Has the island in your Springs gourmet kitchen become a dumping ground for keys, sunglasses, backpacks and mail? Get in the habit of keeping personal items out of the kitchen. There are many hanging entryway organizers on the market, or you could use this DIY hack with nothing more than a spice rack and coat hooks. Look for furnishings that go beyond their original purpose to provide storage and organization options. Benches and ottomans are great for seating and storage. Under the bed is a classic place to store clothes, shoes and accessories, but you can also find beds that are literally storage units. Do you love to entertain? Choose a bar cart with storage underneath to conserve kitchen cabinet space. Bookshelves don't have to be consigned to walls. They make stylish room dividers when you want to create specific areas. Instantly multiply cabinet space with shelves and racks that hold canned goods, spices, dishes, cookware and supplies. More electronic devices means more cords, which are dangerous as well as unsightly. Hooks, covers and channels are just a few of the options for keeping cords discreetly out of the way. 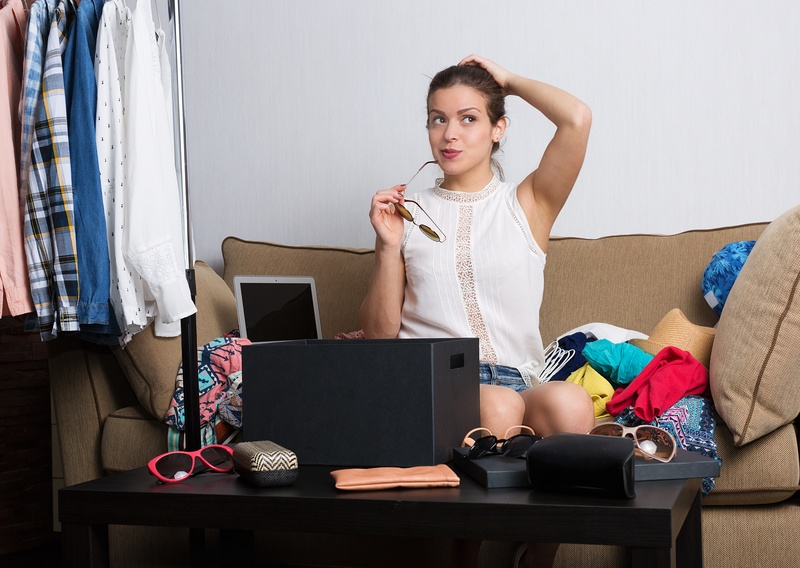 When you review your wardrobe, is it hard to let go? Here's a smart hack for paring it down to the essentials: Reverse all the hangers in your closet so the open side is facing out. When you wear something, turn the hanger back to the regular direction. At the end of six months, get rid of everything that hasn't "turned." From towel racks to plant hangers, you'll be amazed at how many uses there are for the humble and unassuming S-hook. Did we miss your favorite go-to organizing tip? Share it with us in the comments!